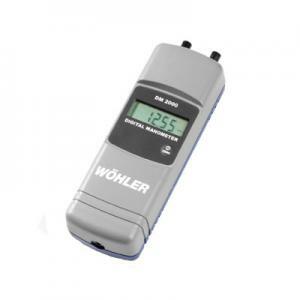 The Wohler CDL 210 is a CO2 Datalogger that is perfect for monitoring residential spaces as well as commercial spaces like conference rooms and lounges. This unit will log CO2, air temperature, and air humidity and has adjustable log rates to meet your needs. 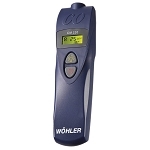 The Wohler CDL 210 is very portable, perfect for monitoring in residential locations. This unit will easily and accurately measure the CO2 level, air temperature, and the air humidity and log it using your programmed log rate. Log Rates can be done in seconds, minutes, or hours with selectable intervals in each unit of time. 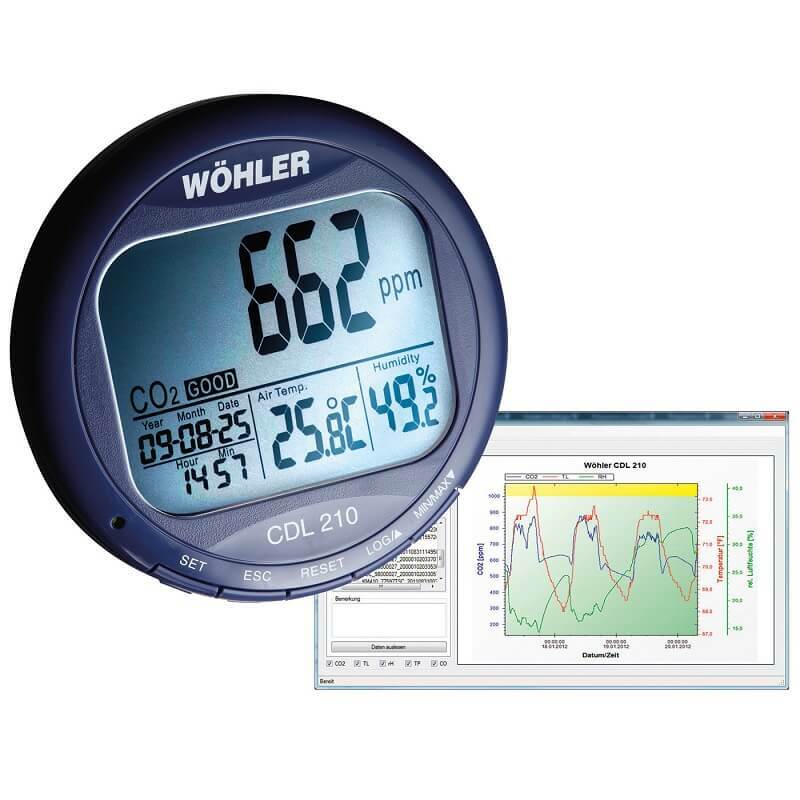 The CDL 210 measures CO2 from 0 - 2000ppm with a resolution of 1 ppm, and a stated accuracy of ± 50 ppm ± 5% of reading. The sensor is a stable nondispersive infrared (NDIR) detector that provides many years of use. The temperature range this logger measures is 14 to 140 °F with a resolution of 0.1 °F and an accuracy of ± 0.9 °F. The dipslay of the CDL 210 is very large and easy to read. It simultaneously displays CO2, temperature, humidity, time, and date that is easy to read at a glance. 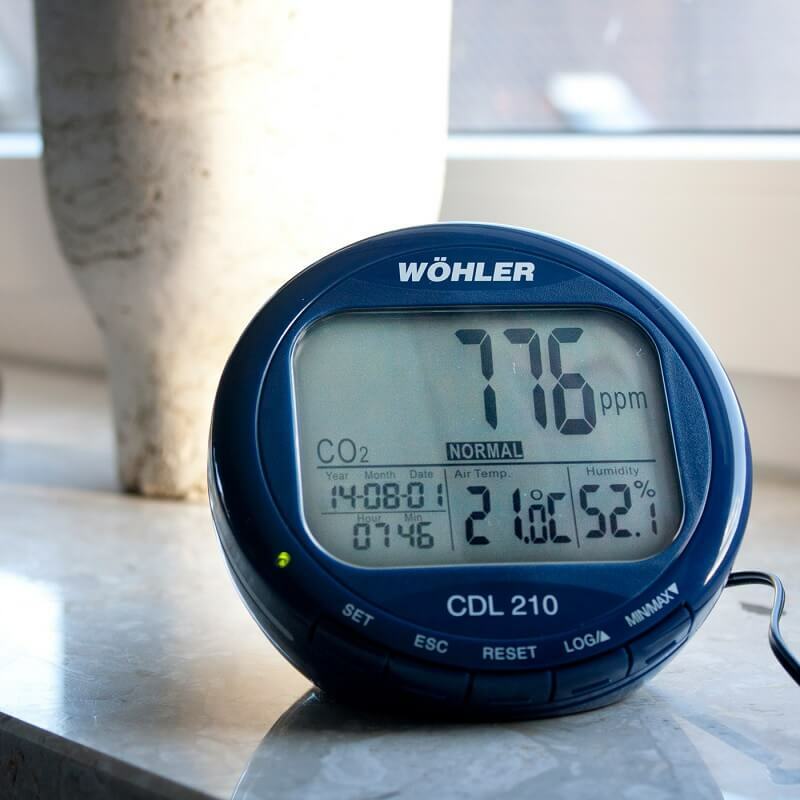 There is also an indicator on the display of GOOD, NORMAL, and POOR for the CO2 measurement that is a quick indication if more ventilation is needed for the environment it is measuring. 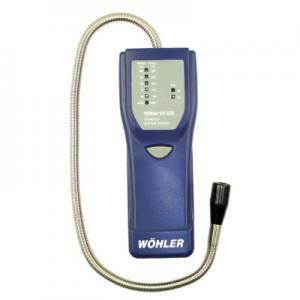 The Wohler CDL 210 has 5 buttons on the bottom of the unit that control the data logger. Range 5 - 95 % R.H.